The countdown has begun ! 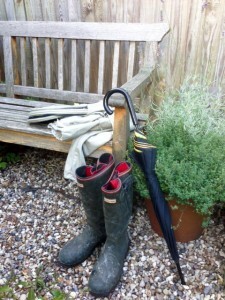 Here in Epping Forest, we’re getting excited about Saturday. With only a few more days to go, final preparations for the EBKA Conference are well underway. Of course we’re hoping for glorious late summer sunshine but please remember to bring weather appropriate clothing and footwear if you fancy a woodland walk at lunchtime. 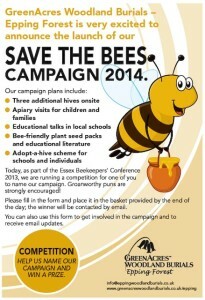 Be part of the Save the Bees Campaign due to launch in 2014 by our host and venue sponsor Epping Forest Woodland Burial Park. Their plans include the housing of 3 additional hives on-site, apiary visits for children and families, educational talks in local schools, bee friendly flower seed packs and an adopt-a-hive scheme for schools and individuals. Pick up a leaflet at the conference to name the campaign and win a prize. 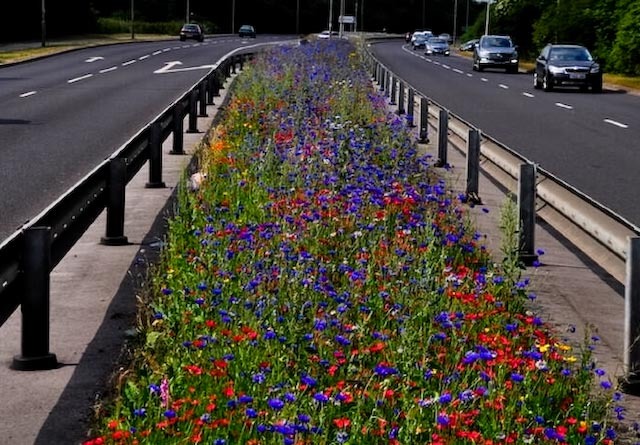 We don’t want to give too much away, but if you have been curious about what our speakers get up to in between lectures, just check out Nigel Dunnett’s homepage tweets for inspiring pictures of glorious swathes of flowers loved by pollinators. 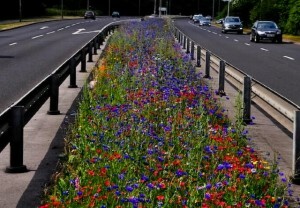 Often on city centre rooftops or urban motorway central reservations, the inspiring splashes of colour not only look good to office workers and motorists, but benefit pollinators in a variety of astonishingly unexpected locations. As seen at the Olympic Park, Pictorial Meadows’ seed mixes are stunning and you can transform your garden, or containers and pots with bee friendly flowers sourced by Nigel and his team. On offer in our conference raffle this year will be beautiful packets from a selection of seed mixes to recreate your own pollinator meadow. Spread it thinly though – a few grams go a long way. Clear growing instructions are included. As the date for our 2013 Conference draws nearer we’re looking forward to meeting our speakers and listening to their lectures. We are fortunate that such leading lights will be with us to deliver cutting edge concerns and thought provoking viewpoints on modern beekeeping today. 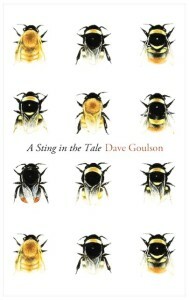 With his infectious curiosity for what makes bumblebees tick, and an eye on the bigger picture regarding IPM, neonicotinoids and the agro-chemical industry, we can’t wait to hear what Prof Dave Goulson has got to say on Saturday. It may be no laughing matter. 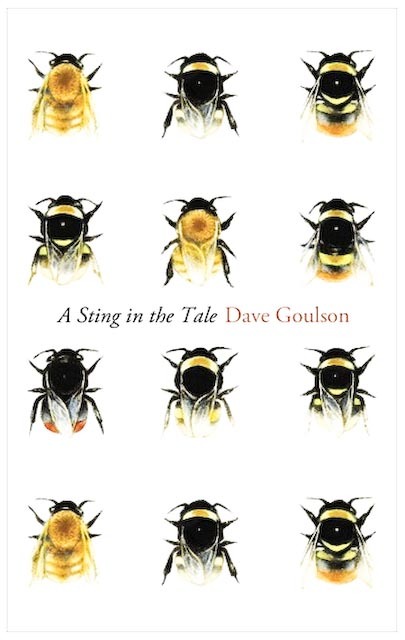 But if you’ve had the chance to read some of our older posts on the Conference Blog, you’ll know Vintage Press has sponsored our raffle this year, providing the exciting chance to win a signed copy of Dave’s inspirational book ‘A Sting in the Tale’. It was ‘Book of the Week’ on BBC Radio 4, from 6-10 May. Read by actor Tim McInnerny, it had us all in stitches and provided the perfect news for our very first tentative blog post. Speaker Clive de Bruyn is just back from the MSWC convention in Hereford which was, as he says : “A very fulsome three day programme with some overseas speakers, simultaneous workshops all through Saturday and a visit to the Bishops’ Palace on the Sunday.” We are lucky to have him speak in Epping Forest before he catches his breath, repacks his suitcase and heads off to Apimondia in Kiev next week. 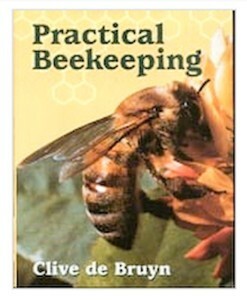 Buy a ticket for our Raffle at this year’s Conference and win signed copies of Clive’s indispensable book ‘Practical Beekeeping’.